A stretch tent suited to larger weddings and events. Our 20x x 15m stretch tent range is a sizeable offer! It would suit larger weddings and events where a large number of guests will be expected. Due to its size the rigging configuration can be adapted to suit the event. For example three sides could be lowered to create a more enclosed feel. That would allow the option to use indirect marquee heaters too. Alternative configurations will be dependant on the number of guests and the intended use of the structure. 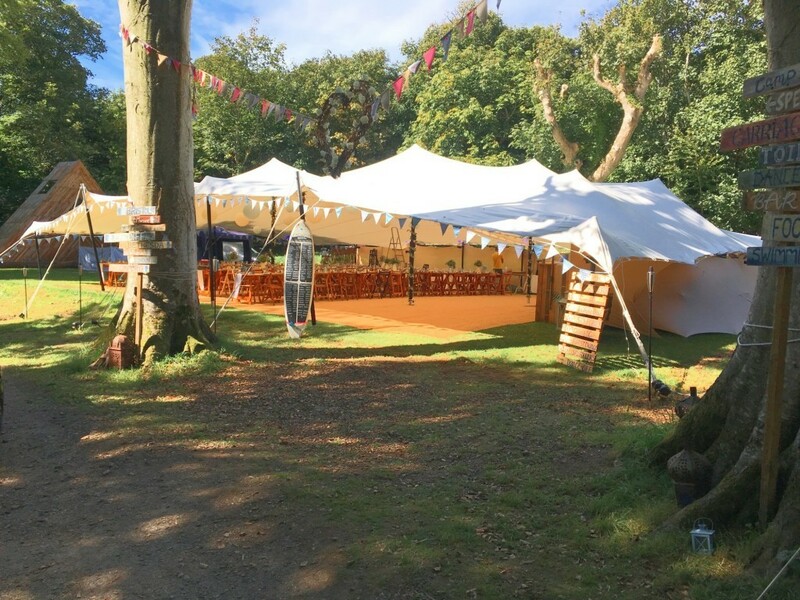 Get in touch here to find out if this is the most appropriate size for your event by filling out our enquiry form. Our 20×15 stretch tent is made by the best manufacturers and is of very high quality material and build. If you only wanted space for dining then it would easily house 200 seated guests with no space for much else besides a small bar by the side of the tent. 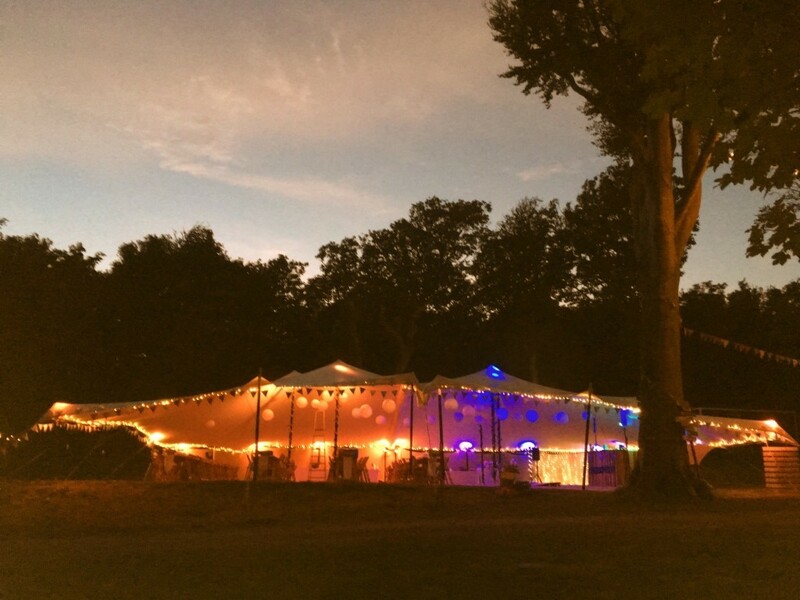 By using lights and fairy lights our stretch tent can transform by the evening and can be made to look any colour you might want as the white fabric reflects the lighting on the inside. 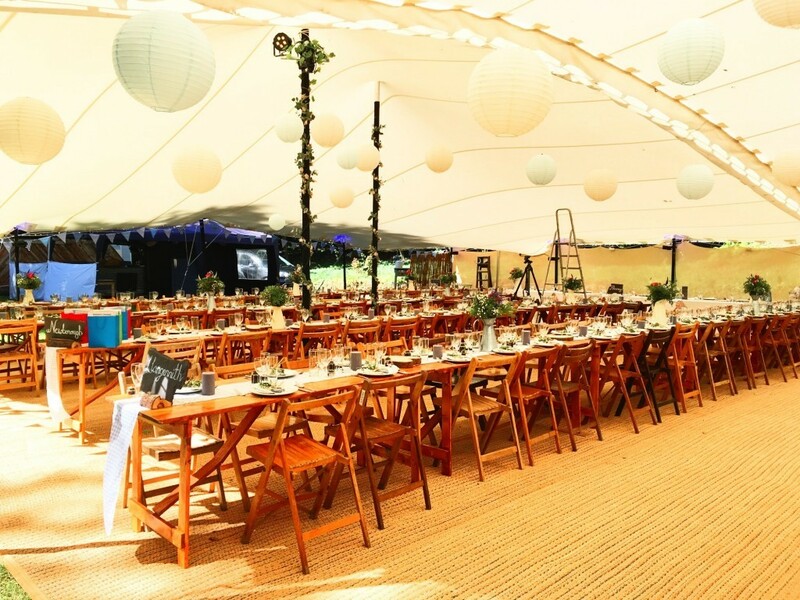 This tent can hold up to 280 standing guests with space for a dj, dance floor and a bar. Although our stretch tents are stark white inside and outside they also are translucent. That means that when sun light shines on it it creates a warm glow. The warm hues of our lovely flooring and side walls reflect into the fabric to create an inviting atmosphere. 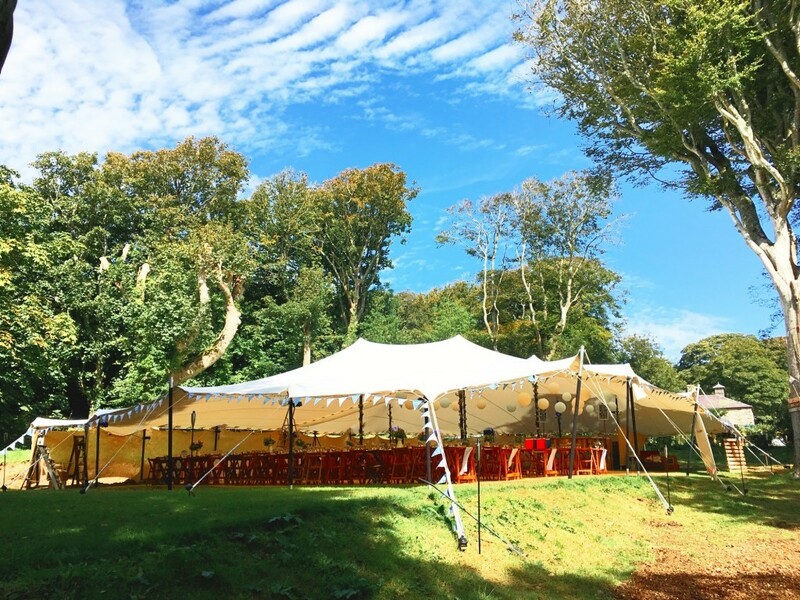 As a wedding venue our 20×15 is ideal for weddings of up to 160 max. That’s because we realise that you will also need space for a dj or a band, a dance floor or dancing area and a bar. Our 20×15 will do all of that without it ever feeling crammed or too busy.